I remember helping his models get dressed for a show he gave in the Netherlands. I was amazed by the colorful architectural designs he had created. 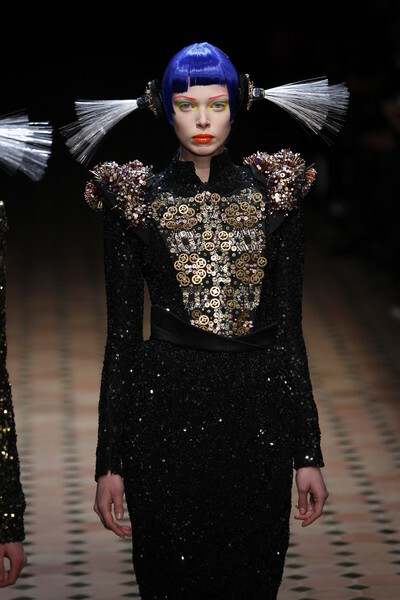 I loved how his designs were embroidered with crystals and beads. It was all so different from everything I had seen before. 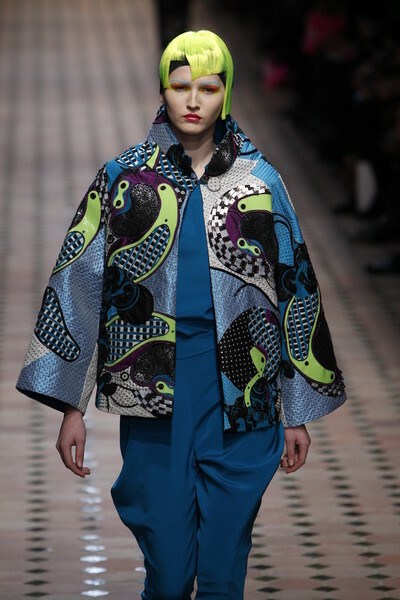 With his fall/winter collection Manish Arora proved he still had that ability to amaze people. 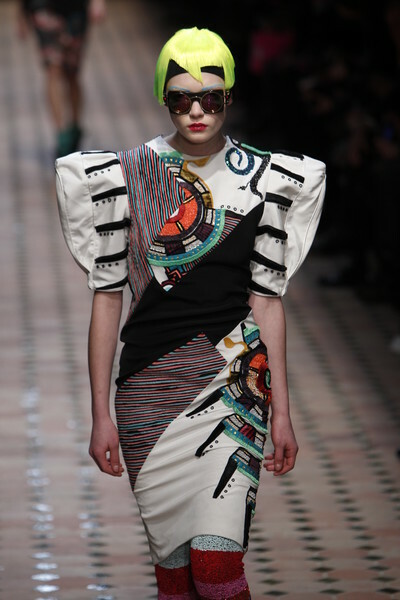 We were wowed by an off white dress with eye-catching, padded shoulders and a strange print. 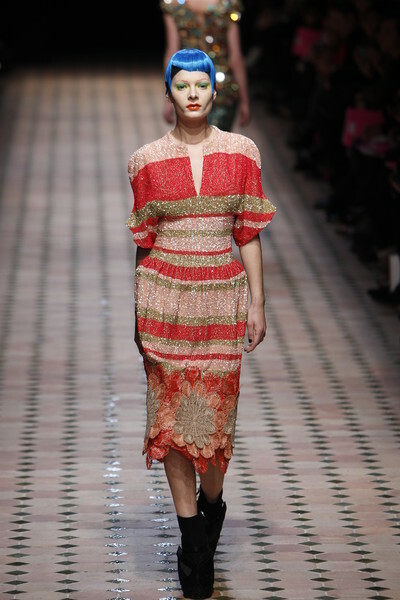 A dress with a pink peacock pattern and a gray sequined top caught our attention as well. Apart from the peacock influences and some floral details Arora used a lot of geometrical prints in every color of the rainbow (all made from beads and crystals). 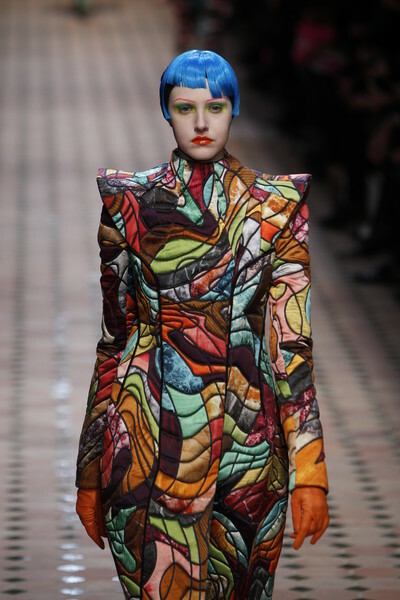 The emphasize of the clothes was clearly on the shoulders and upper arms. Rounded and pointy designs alternated each other. 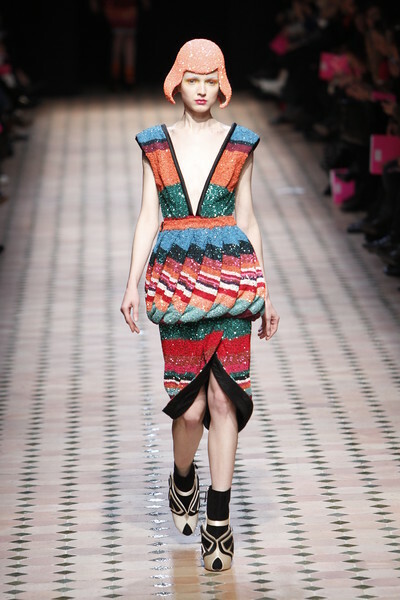 As if there wasn’t enough color used in the clothes all model wore bright, short wigs and contrasting colorful eye make-up. The last three girls even had a luminous bundle of treads on both side of their heads. 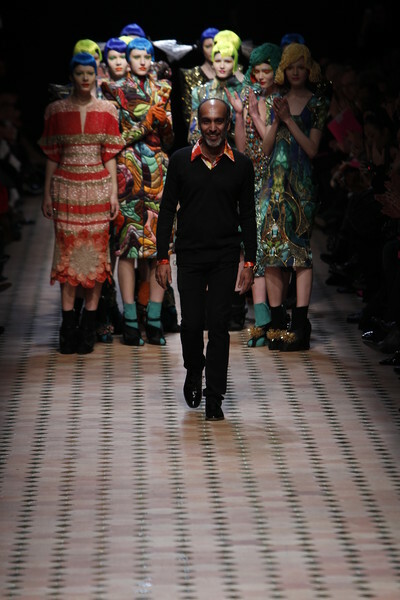 Manish Arora’s show full was a lot of fun to watch. Not all designs will be very wearable, but when you show this much creativity in a collection wearability is not all that matters.